Any primitive camping checklist begins with the absence of things: specifically, amenities and neighbors. There are no water, electric, cable, or WiFi hookups out in the wilderness. And, if you plan well enough, and hike far enough, there won’t be any other campers either. There’ll just be you, the people you came with—or just you if you’re the solo camping type—and your gear. 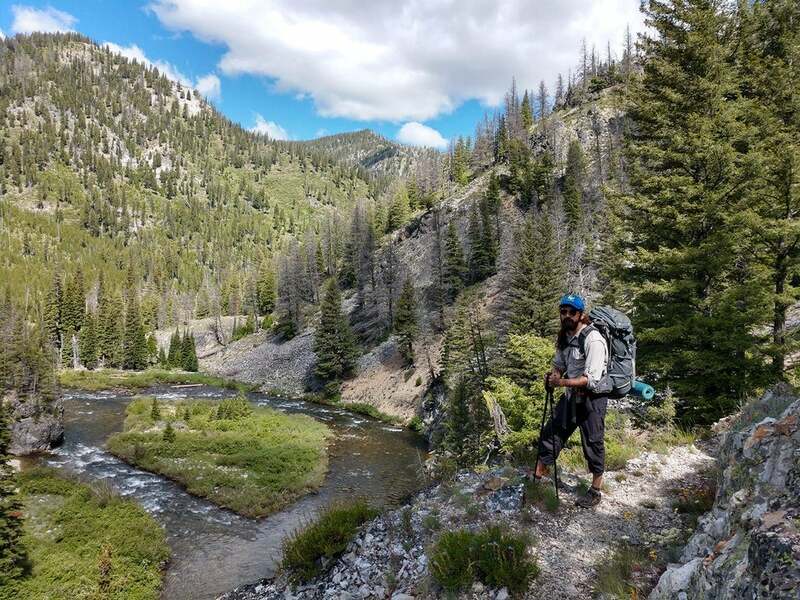 Many people find the prospect of being out in the mountains or woods without access to a proper shower, or a bathroom, or just cell phone service, daunting. What if you forget something? What if there are bears, or rain? Don’t let all the “what ifs” deter you. It’s okay to be nervous. 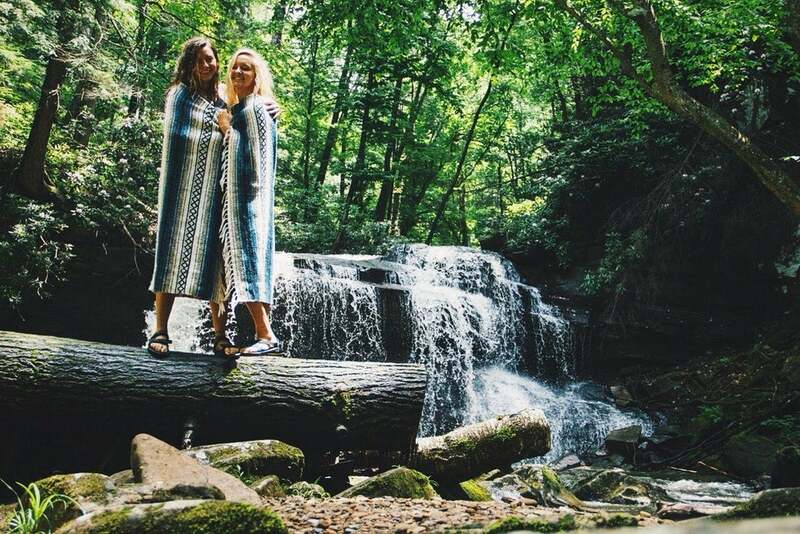 With a little bit of planning, a healthy dose of the adventurous spirit, and the perfect primitive camping checklist, your first primitive camping trip will turn out just fine. So much so, in fact, that’ll you’ll be planning your next one as soon as you return to civilization. 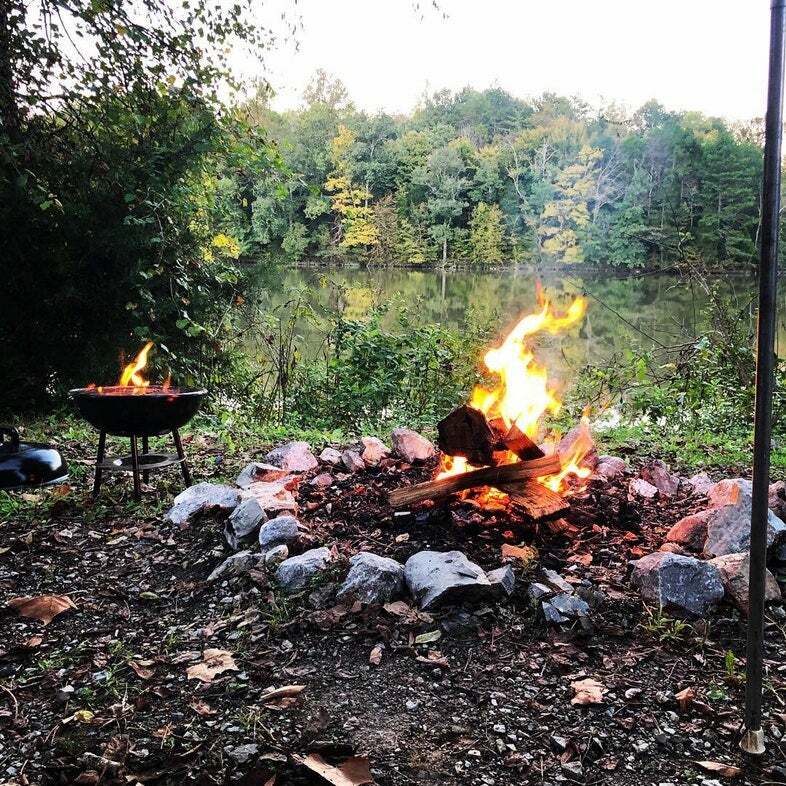 Image from The Dyrt camper Eric K.
After you’ve done a few primitive camping trips, you’ll be able to tailor your personal primitive camping checklist to specifically suit your own needs. Everyone is different. Many backpackers have one “frivolous” item they always bring along for luck or kismet or whatever. Some like to make do with less “stuff”, challenging themselves to carry as little as possible. Still others like to try to prepare for anything and everything (however elusive that may be). If you have a car to help carry your stuff, the list of what gear to bring could be radically different than the following. This is a suggested backpacking/hiking primitive camping checklist, when you have to carry all of your gear on your own back. This primitive camping checklist is merely a suggestion of what to bring. 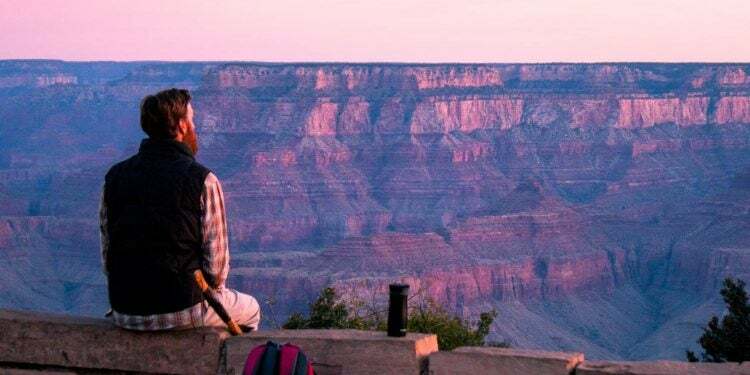 As you become more experienced with disappearing off the grid for days on end, you’ll be able to decide what, and what isn’t, a necessity for you. Tarp or Tent —A safe alternative to relying on shelter from mother nature. 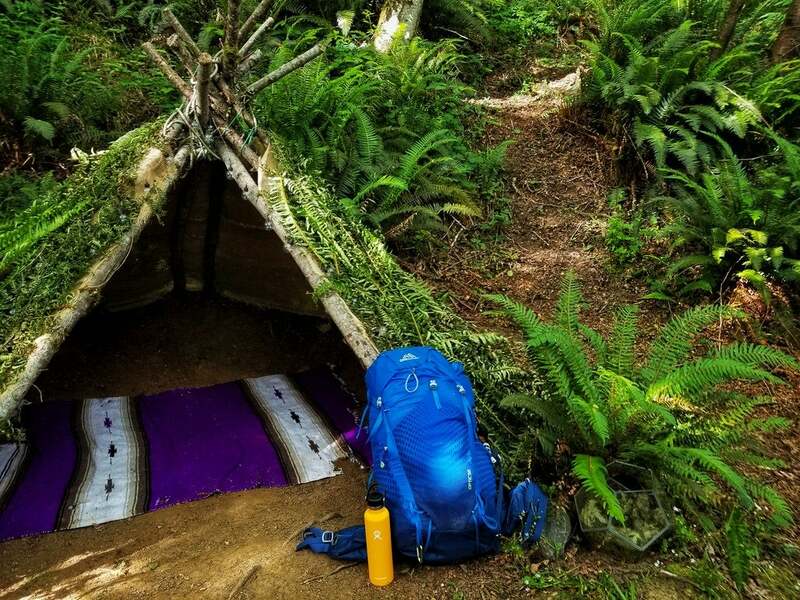 There are lean-tos scattered along the major hiking trails throughout the country so its not necessary to bring a tent if you plan on using them. You do, though, have to share a lean-to with any backpacker who arrives after you, if there is sufficient room. Backpack —because you’ll need something to carry your stuff in. I’ve always been a big fan of Osprey backpacks. I have a few different ones in various capacities. Most backpacks are sized small, medium, large and come in a variety of carrying (gear) capacities (indicated in liters). Sleeping Bag —a good three-season bag that packs down super small and light. I personally use Rab sleeping bags with real down (as opposed to synthetic). Sleeping Pad or Lightweight Cot —if you’re the type who requires a little more cushioning for a good night’s rest. Thermarest makes a great ultralight weight cot (less than 3 pounds) that packs down small enough to throw on top of your bag. Inflatable pillow —a storable option to avoid resting your head on a pile of cloths or your pack for the night. Hammock —many backcountry campers love a good hammock for sleeping. Remember, though, that you’ll need trees to anchor it to. Multi Tool —a good multi tool will help you out of all kinds of situations. Throw in some gaff tape and you’ll be able to fix most anything too. Small First Aid Kit —bandaids in a variety of sizes, something to clean scrapes and bruises, a small supply of pain killers, something to wrap an ankle or wrist if sprained, and anything else you might value while you’re out in the wilderness. Light source —headlamps are ideal for working in the dark without a fire. Food —freeze dried camping meals are a great option and are easily packable. Water —both something to carry it in and a way to filter it. Fire starter —two options are best; a lighter or wind proof matches. Cooking Supplies —a pot to boil water and utensils. Trowel/shovel —a tool useful for preparing your primitive site. Mylar blanket —blankets made from mylar are very useful for keeping warm, and light when packing. Moist wipes —a comfort from home that’s light enough to fit at the bottom of your pack. 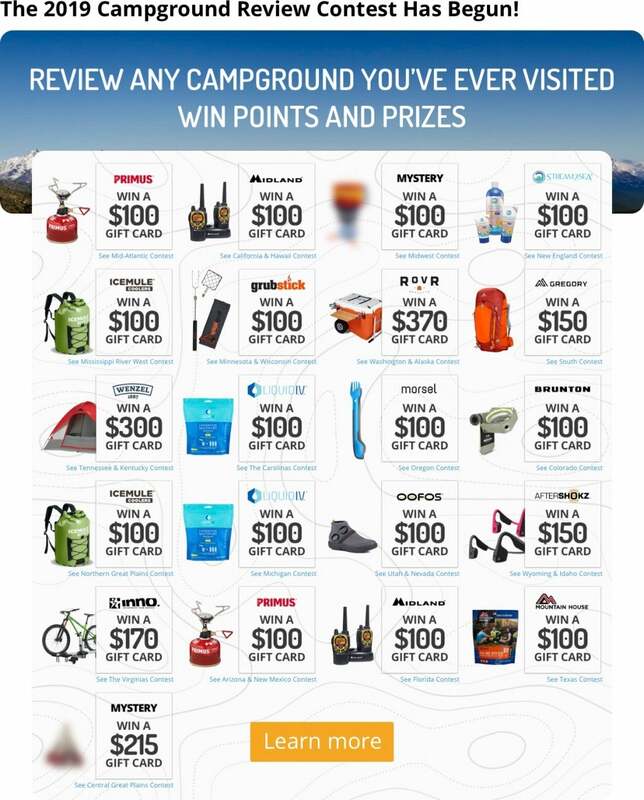 Clothing needs vary according personal preference and carry size, but the following few items are usually essential on most backpackers’ primitive camping checklist. For your first primitive camping experience, it’s probably best to plan a weekend trip to a state park or national forest close to where you live. From there, you can work up to longer trips, week long backpacking or bike packing trips, or even month long ones. Most state parks, national forests, and recreation areas allow what they call “dispersed” camping, or backcountry camping, meaning you may camp outside of the designated areas as long as you follow a few basic rules. The most important rule, and perhaps the golden rule of camping and hiking is “leave no trace.” Anything you bring in, you must carry out. Don’t cut down trees, or even branches from the trees. 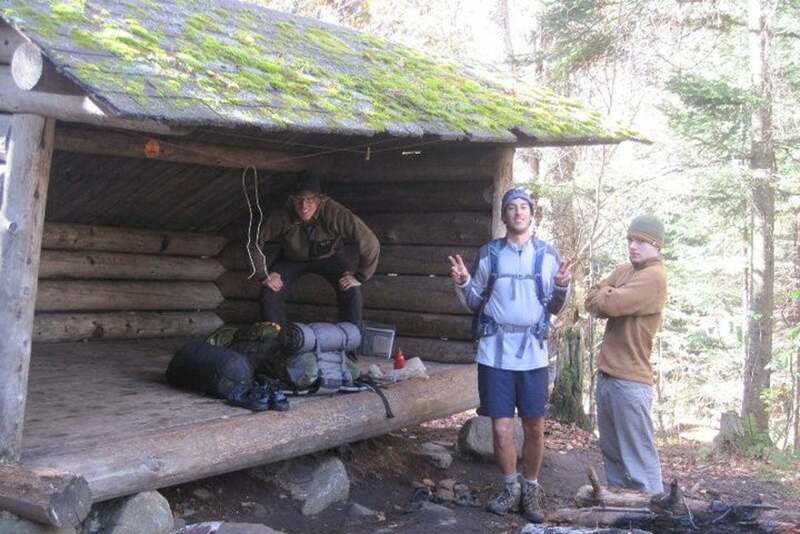 Rules for primitive camping depend on the state you’re in. For example, New York requires primitive campers to set up camp at least 150 feet from a body of water, road, or trail. Be sure to check you state’s law and regulations when planning your trip. As mentioned before, backcountry camping is available at most federally-owned land areas—making up 28% of the United States—and comes with a big bonus: it’s most commonly free, depending on where you camp. Camping is free in many national forests, Bureau of Land Management (BLM) areas Wildlife Management Areas (WMA), and national grasslands. For some more detailed advice on camping in national forests. As long as there are no signs that say “no overnight parking” or “day use only,” it should be okay to camp. Water is heavy to carry, but it’s also the most necessary thing for human survival. Many hiking backpacks have a pocket for a water reservoir or bladder. Carrying two to three liters is usually a sufficient amount for a standard primitive trip. Setting up camp near a lake or river will mean you can refill your water supply, however, most of that water will need to be filtered before drinking. 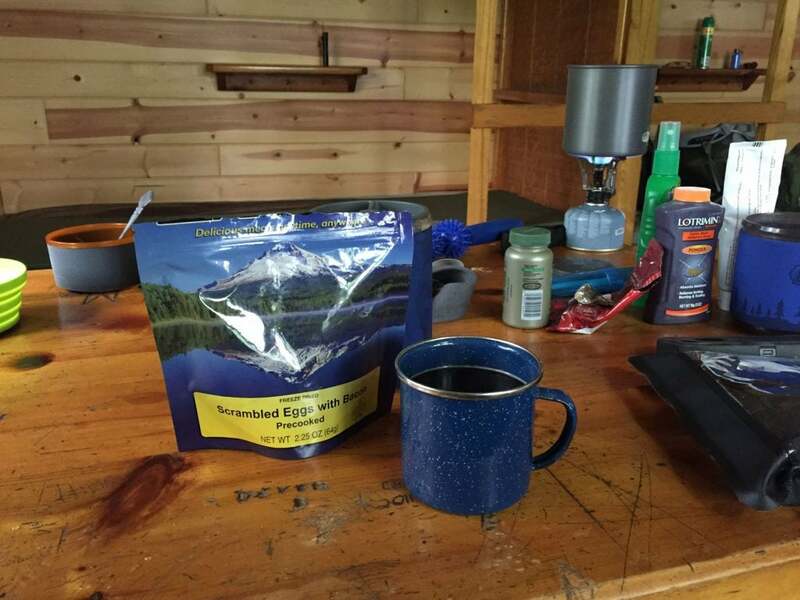 Filtration systems are essential to your primitive camping checklist. There are several ways to filter water. Personally, I’ve used the Sawyer squeeze water system on quite a few trips. This system comes with foldable, reusable mylar pouches that you fill with water. You then screw on the hollow fiber Sawyer filter, then squeeze the pouch to push water through the filter. You can spray the water right into your mouth or into a storage device for future use. The Sawyer filters are light weight, low tech, and don’t take up much room. Another way of filtering water is to use purification tablets. Most of these small tablets require a waiting period, ranging from 15 minutes to four hours, once dropped in a water vessel to allow the tablets to destroy viruses found in river or lake water. The Steripen is yet another way to filter water. I own one of these too and they’re pretty awesome. This method uses ultraviolet light rays to destroy bacteria and viruses in water. You simply insert the Steripen, press a button, and agitate the water with a quick stir. The Steripen purifies 16 fluid ounces of water in less than a minute, and 32 fluid ounces in 90 seconds. It also turns itself off once water purification is complete. A fully charged battery will treat fifty liters of water. Image from The Dyrt camper Hannah V.
As far as showers go, baby wipes or body wipes will go a long way. There are many varieties out there, some of which are biodegradable. I use Goodwipes body wipes and Caboo Bamboo Baby Wipes. 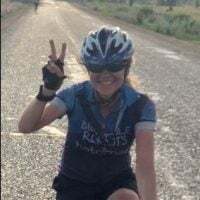 I spent three months bike camping across Central Asia, only staying in a hotel with a shower once every 7 to 10 days. When on a trip that long, carrying a full supply of baby wipes is difficult to pull off. Most any variety of hypo-allergenic anti bacterial baby wipes will suffice—though some are more scented than others. I should know, I purchased them in nearly every town I passed through for 10,000 kilometers. You can also rinse off in a stream, river, or lake using biodegradable soap like Campsuds. Sometimes, an old-fashioned rinsing is all you need to feel refreshed. Some locations in the U.S., like Yosemite, require that you pack your waste up, and take it with you out of the park. In most places, as long as you bury your waste, you should be fine. A small trowel for digging should allow you to properly bury your waste. Make sure to dig at least 200 yards from the campsite, trail or water source. Dig a hole 6 to 8 inches deep the fill it in when when you’re done. Make sure to bring a bag or container for toilet paper or baby wipe disposal, as many of them are not biodegradable. Out in the backcountry, the sun is your friend and your power source. There are a variety of solar panels available, many of which can be attached to your backpack to collect the sun’s energy while you hike, which are a perfect addition to your primitive camping checklist if you need the extra power. Most of them can charge your devices in real time or from energy stored in an onboard battery. If you’re out of cell service range, though, you won’t really need to charge your phone, though. A headlamp is essential though for nighttime, or some other sort of lighting source. There are all kinds of solar powered lights and lamps available for use inside and outside your tent. Biolite also makes a camp stove that converts fire into energy that will power a lamp or charge a phone or GPS device. Image from The Dyrt camper Jay W.
Unfortunately, there are no Walmarts, Targets or convenience stores out on the trail or in the middle of a forest. Freeze dried camp meals are one solution to the absence of grocery stores, and are a good all-in-one addition to your primitive camping checklist. They’re lightweight, compact, full of calories, and easy to prepare. Just add boiling water and, presto, you’re got yourself a delicious meal. Delicious may be a relative measure, but many camp meals will definitely satisfy your hunger after a day of hiking. Like everything these days, there are many options available. And like everything, you really have to experiment and try a bunch of different ones to find what works best for you. Freeze died meals aren’t the cheapest way to go if you’re backpacking for extended periods of time. Other less expensive alternatives include mashers, pasta sides, and the food of choice for poor college students everywhere: ramen. Image from The Dyrt camper Leili K.
Primitive camping is not an exact science. Things change. Weather happens. No matter how prepared or experienced you may be, sometimes mother nature will throw you a curve ball. But with some planning and research, you’ll find yourself prepared for most anything. And enjoying the heck out of it. Image from The Dyrt camper Danielle S.
I tend to overthink things. A lot. During the three months I spent camping in Central Asia, I’d sometimes spend a good half hour to hour walking around at our chosen place to spend the night looking for the perfect spot to pitch my tent. There are times, though, when the perfect spot will be allusive or non-existent and you’ll need to give in and put up the tent before darkness falls. Here are a few things to keep in mind when choosing a site. 1. The flatter the site, the better. If you are camping on an incline, position your tent so that when you lie down, your head will be on the higher ground. 2. Make sure there are no sharp rocks, branches, pinecones, or other debris that might pierce through your tent. Also, if you’re camping in an area with lots of overgrown vegetation, you might need to clear away any especially strong and sturdy vines or short shrubs. 3. While it’s nice to be near a stream, river, or lake, if you’re in a state forest in the U.S., regulation requires you set up at least 150 feet from the banks. Also, it’s always possible that it could rain and the water level could rise enough to flood over the banks and into your tent. 4. A tent position under a tree can provide shade (on a hot summer’s day nothing is quite as hot as being inside the inferno of your tent) and some added shelter. 5. Ground that is especially sandy or loose won’t provide a good place to anchor tent stakes. Make sure the soil where you decide to put up your tent is firm enough to lodge a stake securely into it. 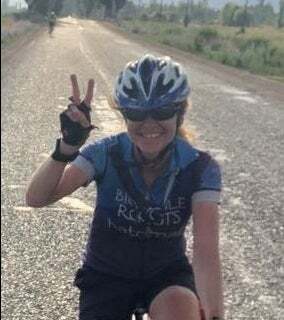 Vanessa is a writer, cyclist, and outdoor adventure lover based in New York City. In her spare time, she works as a tailor and pattern maker for television shows and movies. 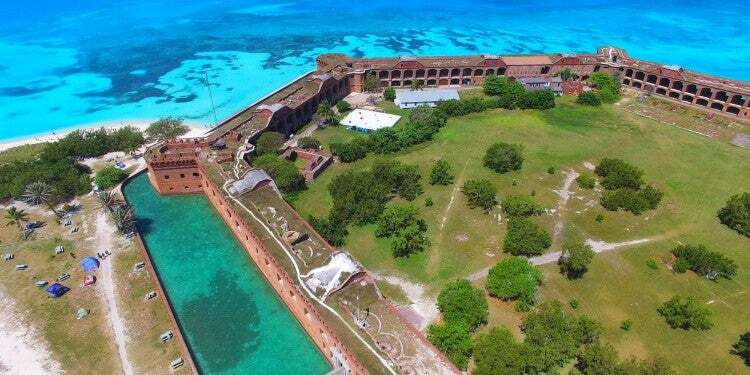 A Camper’s Guide to Dry Tortugas, The Most Secluded National Park in the U.S. 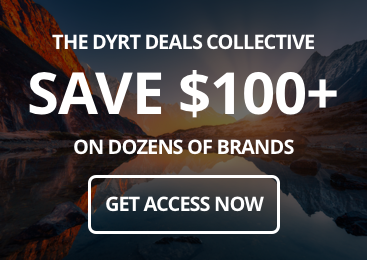 Image from The Dyrt regional writer Vanessa N.